In 2013, Rivers of Nihil released their stunning full-length debut album, The Conscious Seed of Light – the first of a four-part series of albums centering on the concept of the changing of seasons: in this case, the first album represents Spring. 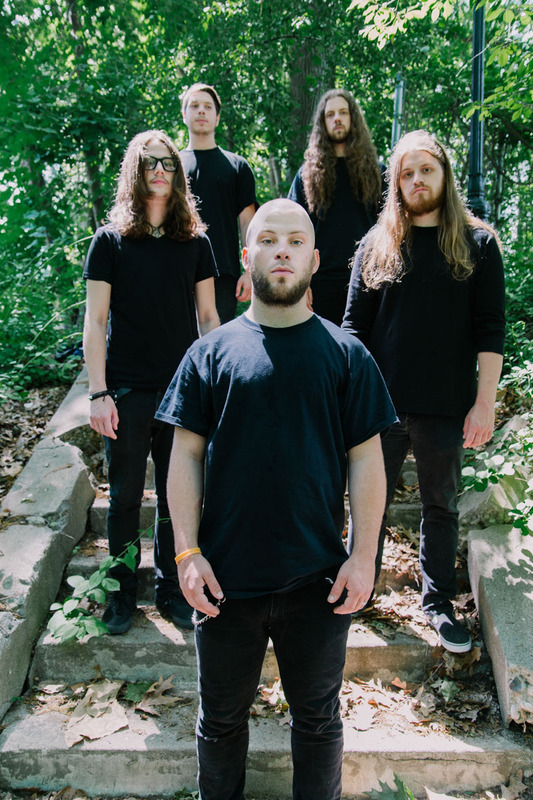 Two years later, Rivers of Nihil are set to release their sophomore album Monarchy – via Metal Blade Records on August 21, 2015 – and the question whether a band can keep momentum during the critical second album phase lingers in the air. With the release of Monarchy, Rivers of Nihil crush any doubt that they are capable of writing compelling and richly textured death metal, as the band continues the seasonal concept with the “monarchy of the sun” and the coming of Summer. Instrumental opener “Heirless” sets an ominous tone out of the gate, leading into the controlled chaos of “Perpetual Growth Machine” as it shifts between moments of frenzied savagery and relentless chugging. “Reign of Dreams” offers further assault on the senses, as drummer Alan Balamut and bassist Adam Biggs nimbly weave the underlying canvas of dynamic rhythmic color throughout the track. “Sand Baptism” provides some breathing room and expands the creative space for the band, providing further evidence that Rivers of Nihil are capable of writing music that pushes the boundaries of the genre. Title track “Monarchy” showcases the technical proficiency of the entire band with numerous highlight moments for each member to flex their chops. Likewise, the continuing saga of instrumental “Terrestria II Thrive” is a shining moment on the album allowing the members to explore some adventurous musical ideas that take the listener on an amazing musical journey. Closer “Suntold” – the longest track on the album, clocking in at almost seven and a half minutes – delivers layers of vicious brutality mixed with atmospheric guitar harmonies before ending with some delicate ambient synth tones. [columns] [column size=”2/3″] With the release of Monarchy, Rivers of Nihil show a new level of maturity in their songwriting and deliver an album that is arguably one of the top releases in the genre this year. Monarchy will be released by Metal Blade and can be pre-ordered here.